The temperatures and sporadic rain this year have resulted in an EXPLOSION of weeds. 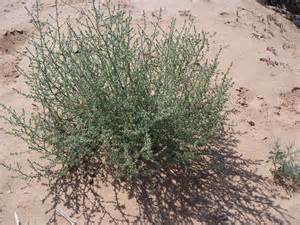 The predominant NUISANCE weeds at this time are Kochia (soft stem, dark green leaves, 4/8 feet tall) and Tumbleweed (light green spikey leaves). Mechanically cut down all weeds on your property within the next 3 weeks (including those in easements); bag the weeds and dispose of them at the transfer station on Enterprise Way. If you need assistance Click Here for local businesses who may be able to assist. What can I do to prevent the weeds from growing next year? The most effective pre-emergent weed control is the application of herbicides at the appropriate time. 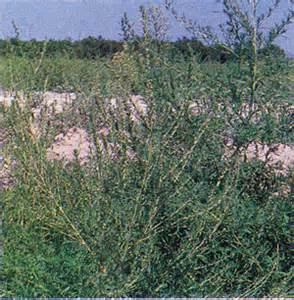 Click Here for more information about weed species and effective management. If you need help identifying NOXIOUS weeds, contact: Churchill County Mosquito Vector and Weed Abatement at 423-2828. Every property owner is responsible for controlling weeds on their property. We are appealing to all residents to work with us to address this issue so that we will minimize the potential for fire hazards this fall. Thank you for your assistance and cooperation.